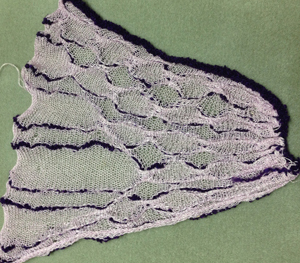 Some tips on ruched FI knitting: fabric will shrink considerably in length, so most motifs will need to be elongated to accommodate that. 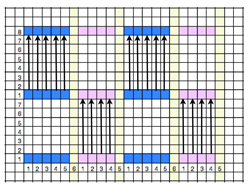 Having a pattern that may be tracked easily by watching the floats on its reverse is helpful as may working in bands where the colors swap spaces (changing yarn feeder positons). 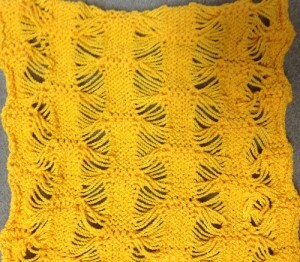 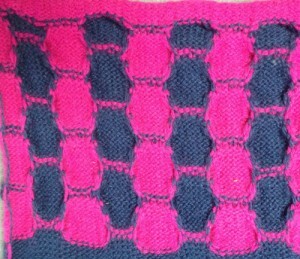 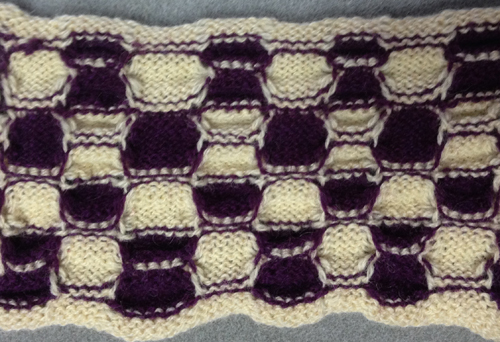 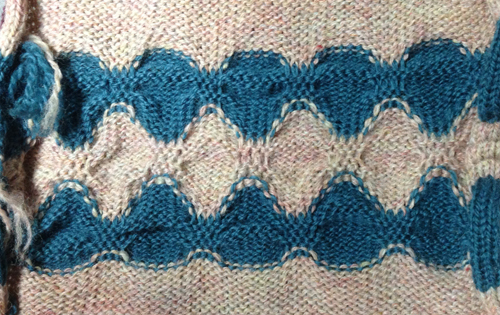 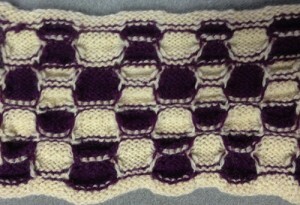 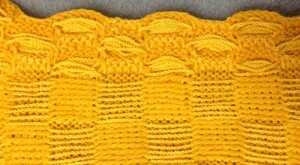 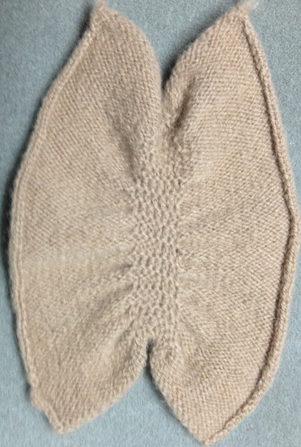 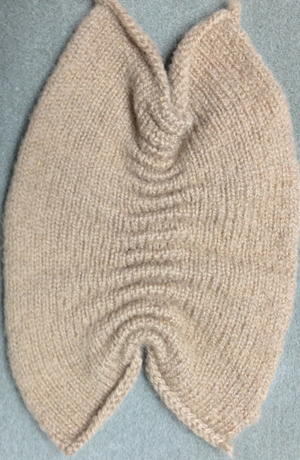 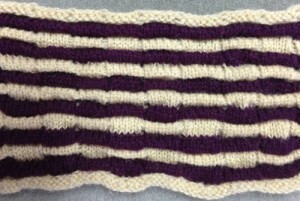 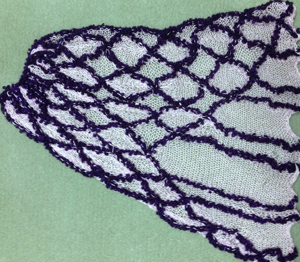 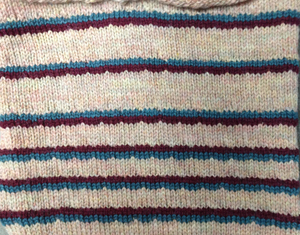 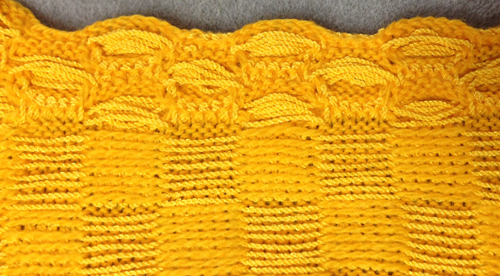 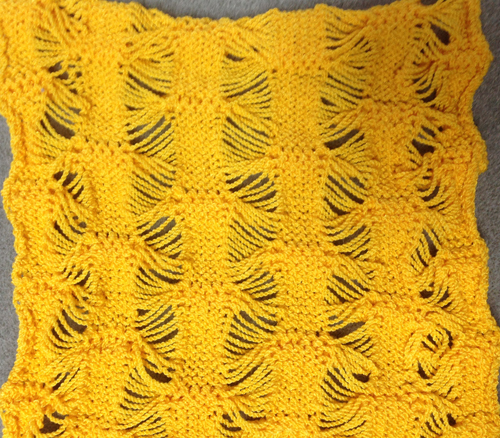 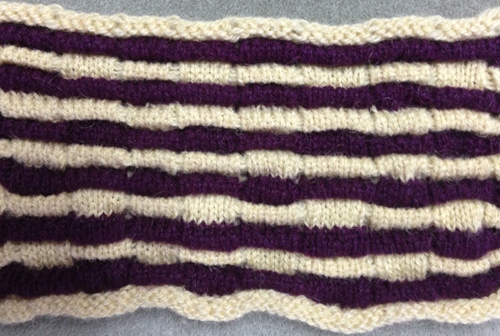 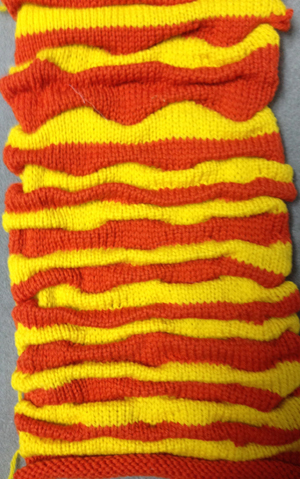 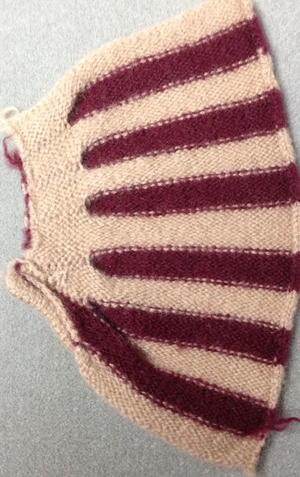 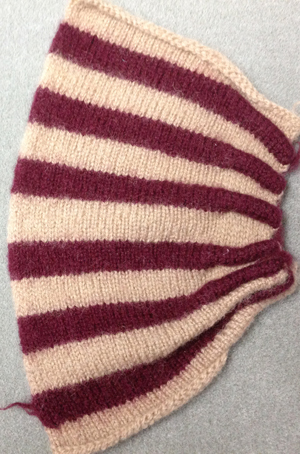 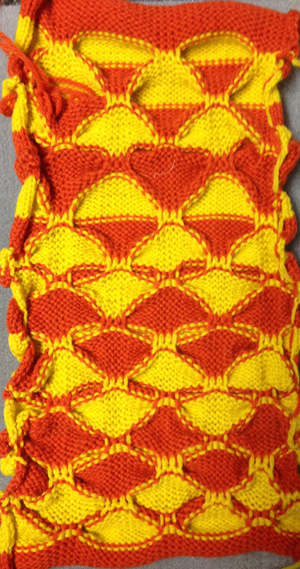 Because the fabric bubbles, knitting rows in only one color at intervals may track hook up row, while not visibly disrupting the pattern on its knit side. 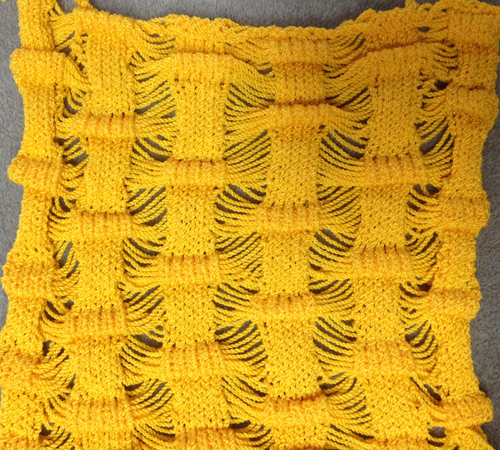 If small groups of stitches are to be picked up and rehung, markers with segments of nylon thread or yarn may be placed on the corresponding needles and be temporarily knit in. 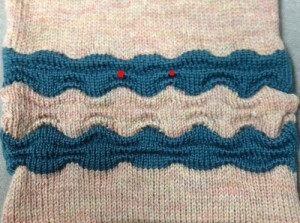 In addition the needle tape or needle bed may be marked with water soluble pen to indicate locations for rehanging. 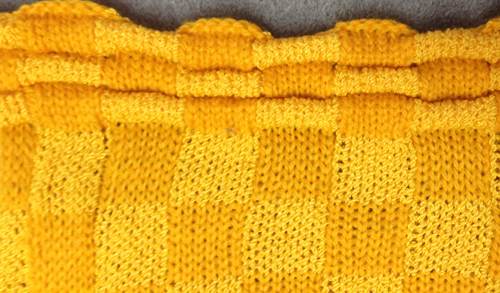 Depending on the pattern, number of stitches involved, and personal preference in terms of floats, needle selection in brother machines may have to be restored “by hand” to keep the design uninterrupted. 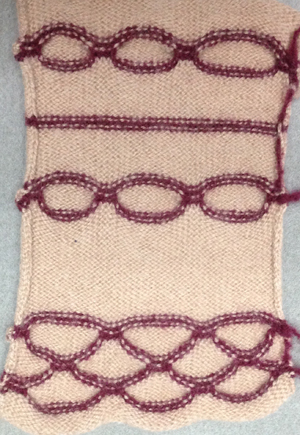 they are the same size, yarn weights are a tad different, and the colors play against each other. I will add a post on history of some of my swatches. 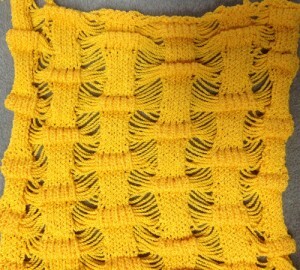 Love these, Sandy! 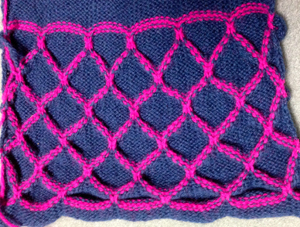 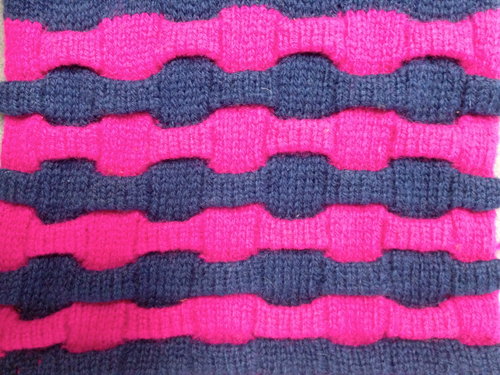 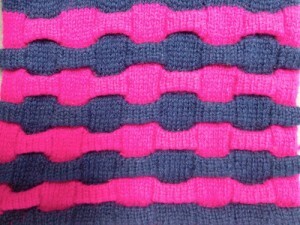 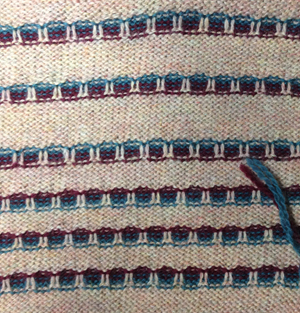 On the pink/black example, is there any difference in stitches from the ruched segment of one color to the non-ruched? 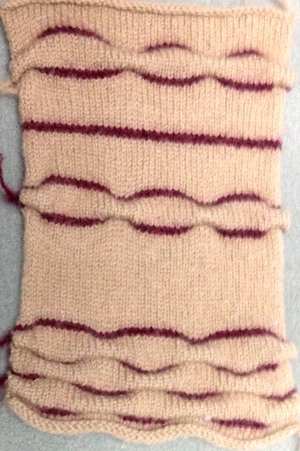 They look bigger when they’re ruched, but perhaps that’s just because they’re pulled and stretched a bit? 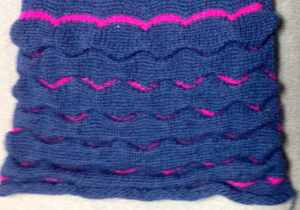 Thanks for these lovely examples.